We all know that cats and bath time doesn’t suit well all the time. Most of the time cats doesn’t like the idea of water… let alone going to the bath and anyone who owns a cat knows this fact… but the cat in the video is a total opposite. 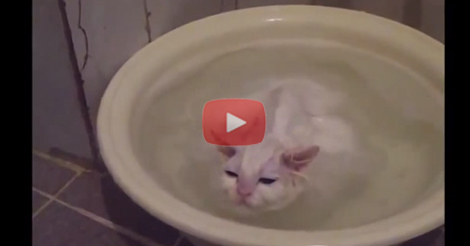 Instead of forcing the cat to take a bath, the owner is having a hard time to end the bath time! The cat didn’t budge from his tub time! The white cat just stays at the bowl and enjoying his warm bath. 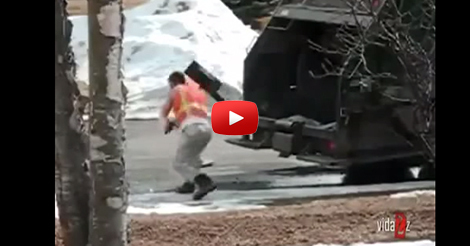 The owner tried to pull him out but he goes back every time… and it is just a very adorable scene! Check out this cute video below. I can never make my cat willingly take a bath. Just a little splash of water and they are already gone! COMMENT and share your cats bath time stories.